September is National Mushroom Month Mushrooms are high in B-vitamins, riboflavin and niacin, which promote healthy skin and good vision. These nutrients also ensure that the digestive and nervous systems function properly. 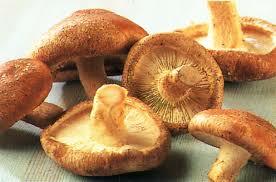 Mushrooms are an important source of potassium. 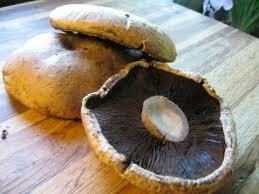 One medium-sized portabella contains more than a banana. for prostate cancer. Laboratory studies suggest that a mushroom extract may reduce blood lipids and cholesterol levels (heart disease prevention). I am Dr. Velonda Thompson, Professor, Author, Lecturer and Nutritionist. As fitness and health promotion entrepreneur, I have provided fitness direction for corporate, small businesses, and individuals since 1979. I completed doctoral studies in the field of nutrition and health promotion which led me to become the author of an educational cookbook entitled “Pass the Sweet Potatoes, Please!”. My second educational cookbook, Beyond Candied Yams & Sweet Potato Pie was released April 2012 and I am currently working on my first children’s educational cookbook. When I am not teaching in the college classroom on the ground or on line, I am working as the Manager of the Women, Infant and Children (WIC) program for the Department of Health and Wellness Promotion in Detroit, Michigan. I also make time as often as possible for various projects in the community such as Keep Growing Detroit, Detroit Black Community Food Security Network, The Detroit Food Policy Council and the Garden Resource Program.